After Surface and reading between some announcements, a phone from Microsoft has become a matter of when rather than if. And for Microsoft, leveraging the Xbox brand makes sense. Apple is currently dominating mobile gaming with iOS, and for Microsoft having Xbox only as a hub for all games with only stats integration is a waste of Xbox’s mobile potential. All this might change soon. 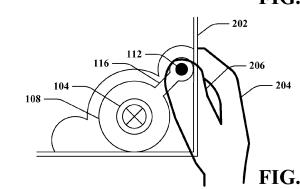 Then again, this is a patent so when Microsoft actually unveils what’s depicted is a different discussion, could be before Durango, after Durango, or knowing Microsoft, perhaps never. 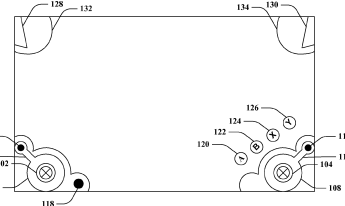 I stumbled on a Microsoft patent application that shows the UI for a mobile game controller. The interface is the Xbox controller on a touch screen. It’s that glimmer of hope that this shows Microsoft’s plans of actually doing a mobile device that resembles the Xbox controller while playing games and will give us integration more than just avatars and stats. [Fig. illustrate] additional exemplary orientations of the mobile touch-enabled device that can be utilized to manipulate operations in the game rendered on the display of the mobile touch-enabled device. So there it is, internally Microsoft is bringing the Xbox controller to a mobile device, a dedicated Xbox mobile gaming device with music & video services–a new Zune–a second attempt at competing with Apple’s iPod Touch. Or a Xbox Phone we’ve wanted, take your pick.